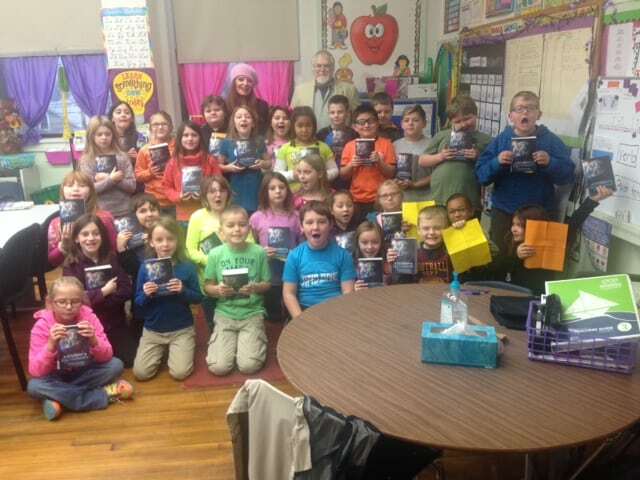 WEST RUTLAND—Third graders in Mrs. Maxham’s and Mrs. Turgeon’s classrooms at West Rutland School received a very special gift recently: a dictionary. The dictionaries were donated by Rutland South Rotary Club as part of Project Dictionary. Rutland South Rotarians have visited third grade classrooms in eight Rutland County Schools for the past 15 years to present the dictionaries to the students. The students are always delighted to receive them and are eager to look up words. Project Dictionary began as a non-profit charitable organization founded in 1995 by Mary French, in Charleston, S.C. Its goal was to provide personal copies of dictionaries to third grade students in the South Carolina public school system. The eight Rutland County schools participating in the program are Barstow Memorial, Christ the King, Clarendon Elementary, Proctor Elementary, Rutland Area Christian School, Rutland Intermediate School, Rutland Town School, and West Rutland School. West Rutland School third-graders hold up their new dictionaries.